Your wedding cake is the biggest and most important dessert of your life, so it’s best to find the best baker you can! When our clients visit us, we generally serve cake by Jo at The Cake and I. I say generally as sometimes we’ve eaten it all…. Hi Jo, tell me a little about how it all began. Growing up on a remote Wheatbelt farm, I quickly learnt how to be self-sufficient and resourceful. Baking was simply a part of everyday life. I remember using ingredients from our farm to create cakes and desserts for the entire family. It is that farm to plate baking premise that I still use in my commercial kitchen today, which gives my wedding cakes their unique and distinct flavour. Once my family and friends started to get married, it became clear to me that the wedding cake industry in W.A did not cater for taste, but rather solely focused on aesthetics. As my family and friends tried my cakes, the word spread, and the rest is history! I am the Creative Director of The Cake and I. I am the first point of contact for our couples. I arrange the cake tasting, bookings and design every cake. You will also often find me at the reception sites setting up the cakes and making sure the overall presentation of the wedding cake is on point. My role also involves overseeing the operational side of the business. Ensuring that the quality of the product is kept to an optimum is my responsibility. I want my couples to have the best possible wedding cake. To ensure this, I source and hand select all of our fresh produce – including eggs from my property! I am greatly supported by some truly extraordinary individuals. On site we have our dedicated baker Natalie, and our most recent addition – my husband, Scott. He brings his knowledge and experience in construction and engineering, which is essential when we create skyscraper style cakes and use cake swings suspended from the ceiling! Thinking about that first appointment with a baker, how can a bride be best prepared? It’s really helpful if the bride knows whether the cake will be used as dessert, as a favour for the guests to take home, or some of the cake will be saved for their first anniversary for example. From this information, I’ll know how big or small the cake should be. Having a sense of the overall style of the wedding is also an integral factor in the design process. The cake should be a part of the styling but also a main feature. How far ahead should a bride book an appointment with a baker? The sooner you book an appointment, the more time your baker will have to get creative and work on your masterpiece. We do recommend that if you are planning a wedding for the peak season (March and October), that you book ASAP as we often have little vacancies in this period. I suggest booking up to a year in advance for these peak times and between four and six months in advance for any other time. Who should the bride bring? Definitely bring the groom along, this is one appointment he will not want to miss! The cake tasting process is fun but also extremely important. It is with that in mind we suggest you only bring along a few people such as parents or those in the bridal party, as too many varying opinions can confuse the process. Do you prefer a bride to have a clear idea of what she wants? We encourage our brides to come to the initial meeting with an open mind, however having a clear direction of your style can help the discussion. After the initial appointment, most couples will know what style and flavour to go with. How many meetings are usually required? Usually the initial meeting should iron out any uncertainties and any further follow-ups can happen via email or over the phone. We understand our clients all lead busy lives, so we endeavour to do as much as possible to make the couple’s lives easier in the lead up to their wedding. Do you work from an image or do you create original designs? We draw creative inspiration from various sources, however all of our cakes are customised to suit each client’s unique ideas and requests. Our imagination is uninhibited and we handcraft all of our cakes to keep continuity with the rest of the wedding style. 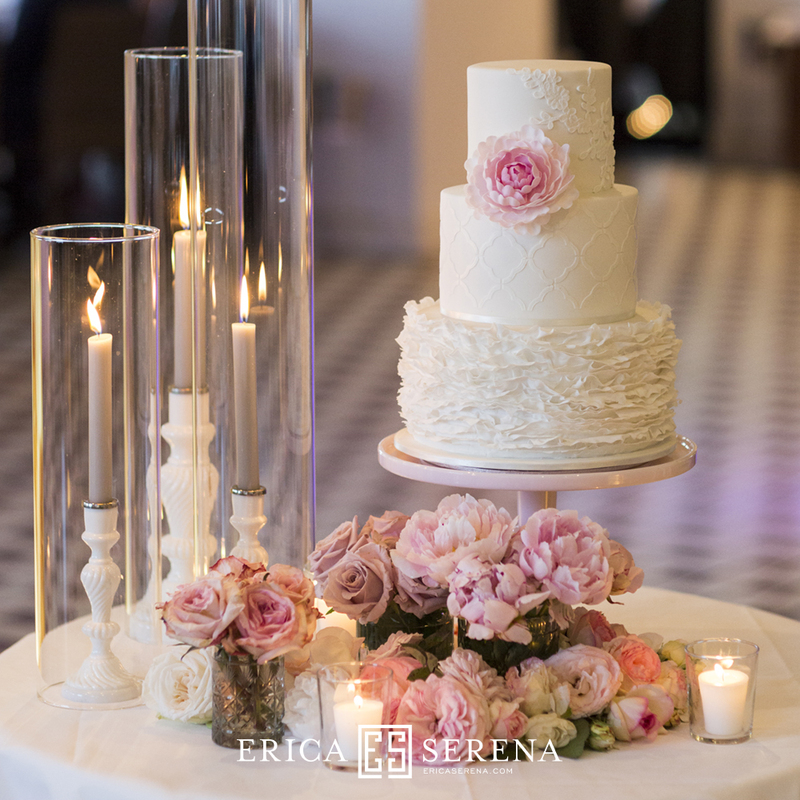 Do you have any specific advice to give to a bride when searching for a wedding cake designer? First and foremost the bride needs to feel comfortable that the designer has the skill and craftsmanship to create the cake of her dreams. This means doing some research into the designer’s credentials and portfolio. No two cake artisans have the same style, so investing in some time looking over their social media pages can often point you in the right direction when picking the designer for your project. Equally important is to check to see if the business has a food licence and confirm your cake will be prepared in a registered commercial kitchen. What are the key ingredients to a great cake? For me, it has and always will be the quality of the ingredients. Quality ingredients are the hallmark of our work at The Cake and I. We pride ourselves on using only the freshest produce like limes and lemons from local orchards and free range eggs from our own happy chickens. I think keeping your cake design simple and elegant often yields the most beautiful results. A really well made Buttercream or Ganache iced cake on an exquisite pedestal with a few freshly cut flowers is just stunning! 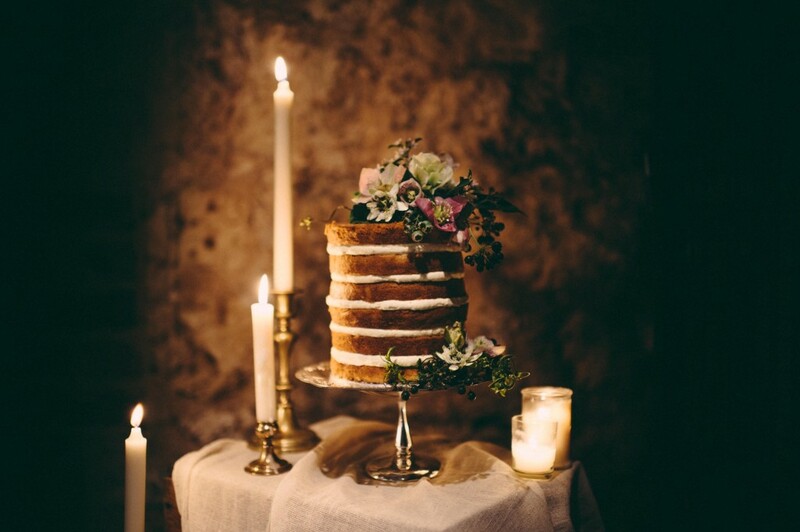 Thanks Jo for giving us some really useful advice on what to think about when searching for the perfect wedding cake. If you would like to speak further with Jo, you can find her HERE or call her on 0421 442 191 to arrange a complimentary consultation.